The Ultimate C1 1962 Corvette? When a custom vehicle is put together, it should have the same properties as the finest works of art in that you can muse upon it for hours and just seek joy from staring at the thing. proven in this case with a custom-built Corvette by Carr Campbell of Carr’s Corvettes & Customs in Plano, Texas. 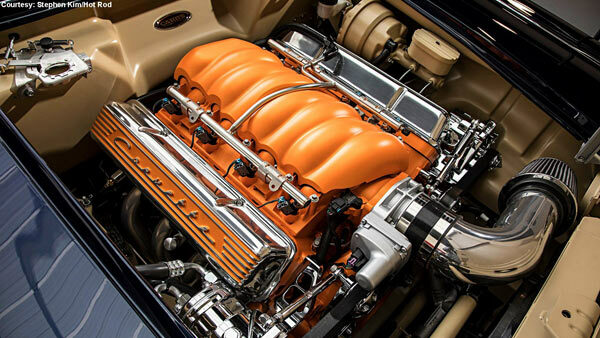 The full car is documented over at ls1tech.com, but suffice to say that the build started with a 1962 donor vehicle found in the California high desert. From here everything was stripped down and replaced with, well, custom everything. A GT Sport chassis from Art Morrison for starters, a Strange 9-inch rear housing and Detroit Truetrac LSD, 3.70:1 gears, JRi coilovers, C6 suspension at the front and Wilwoods brakes all round and 2009 Corvette ZR1 repro wheels. The body was stripped down to the bone. With the rear fenders widened and GTS 1 1/2 inch wider customs quarter panels added. PPG Deltron Jazz Blue paint was then added underneath PPG’s Global Glamour Clear. Engine wise you have a 2015 Chevrolet Performance LS3/480 crate engine with a Street & Performance brand accessory drive system. ceramic-coated 1 7/8-inch Art Morrison long-tube headers, custom 2 1/2-inch aluminized steel exhaust system and MagnaFlow mufflers. All producing 461 hp and 473 lb-ft of torque through a Silver Sport TKO 600 5 speed transmission. The beige and orange colour scheme is simply amazing. The same goes for the interior. Vintage looks with an air of luxury. 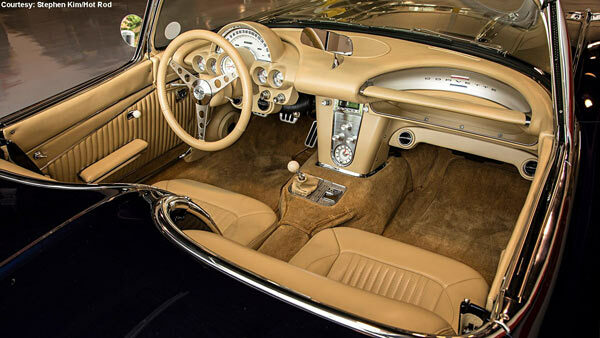 Auto Custom Carpets, doeskin leather, Al Knoch seats and door panels with original gauges. 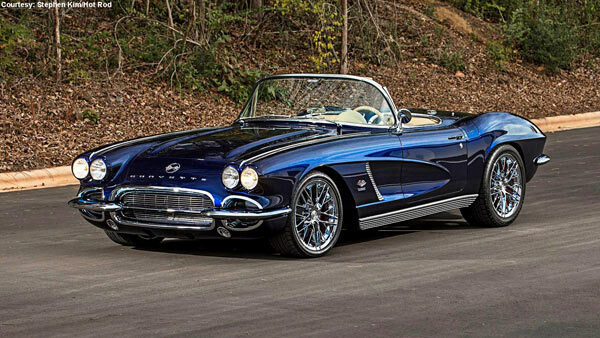 Basically, as a custom vehicle this Corvette is hard to beat. Vets nice, but the wheels and rims don’t cut it.